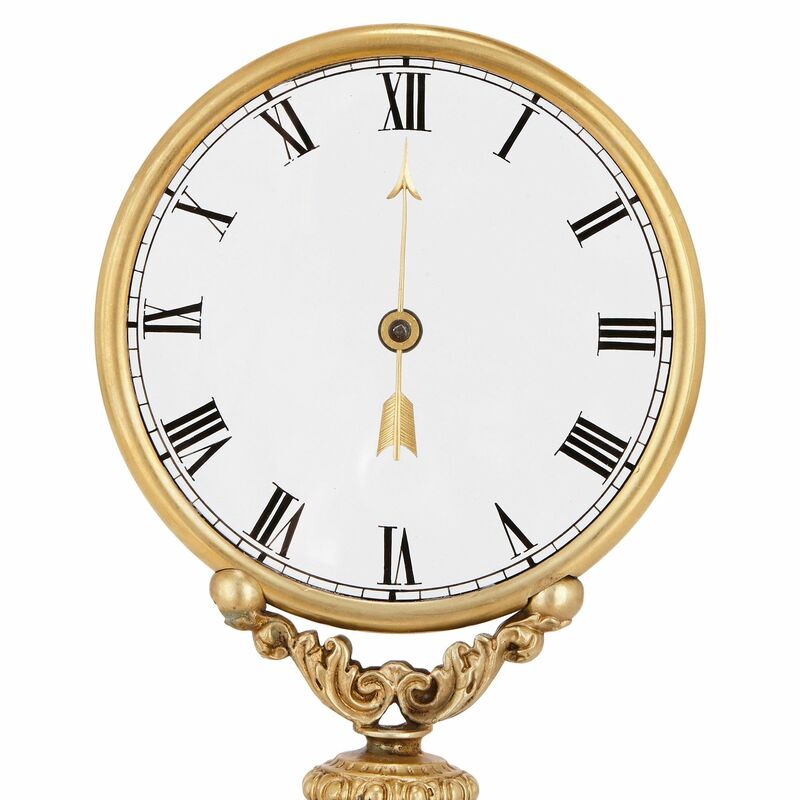 The clock has a circular dial with an ormolu surround, with black Roman numerals on a transparent glass face. The hand of the clock is styled as an arrow, and, as per the concept of the 'mystery clock', appears to float above the surface with no visible mechanism. 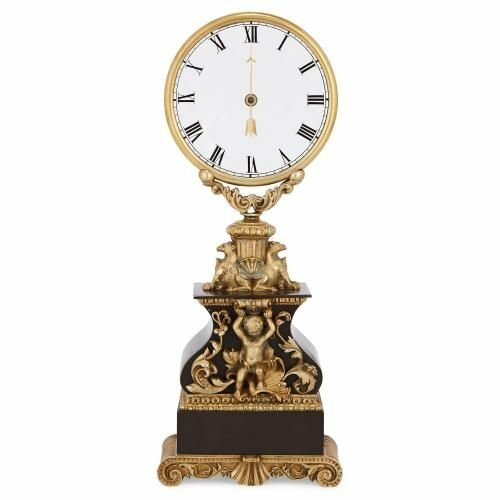 The clock dial is set onto a scrolling Y shaped ormolu support, which is set atop a fluted column flanked by griffins and a central shell motif. 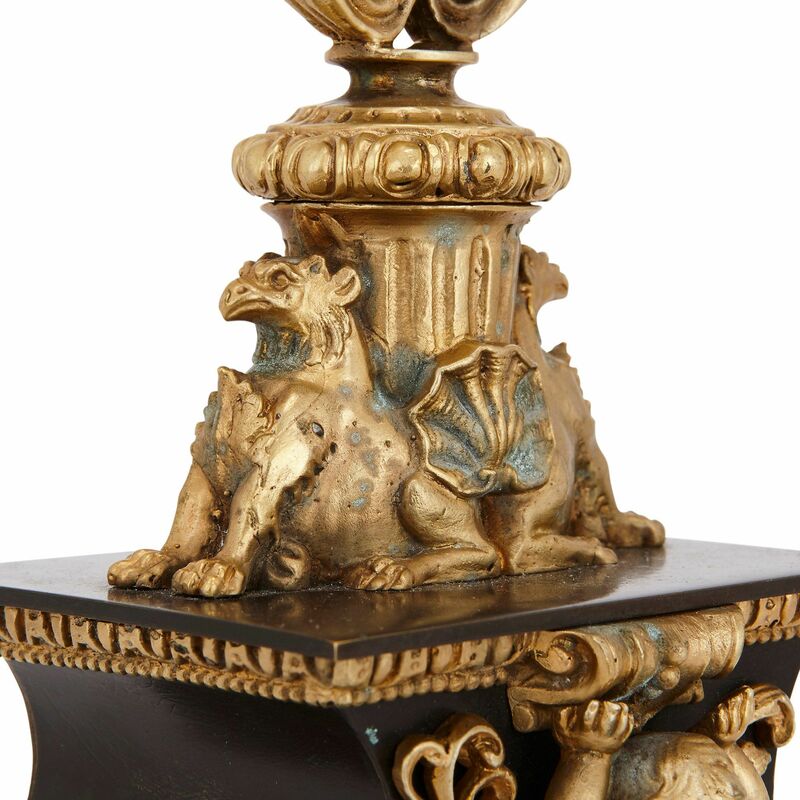 The griffins and column sit atop a rectangular form case of patinated bronze, with a curved and waisted neck. 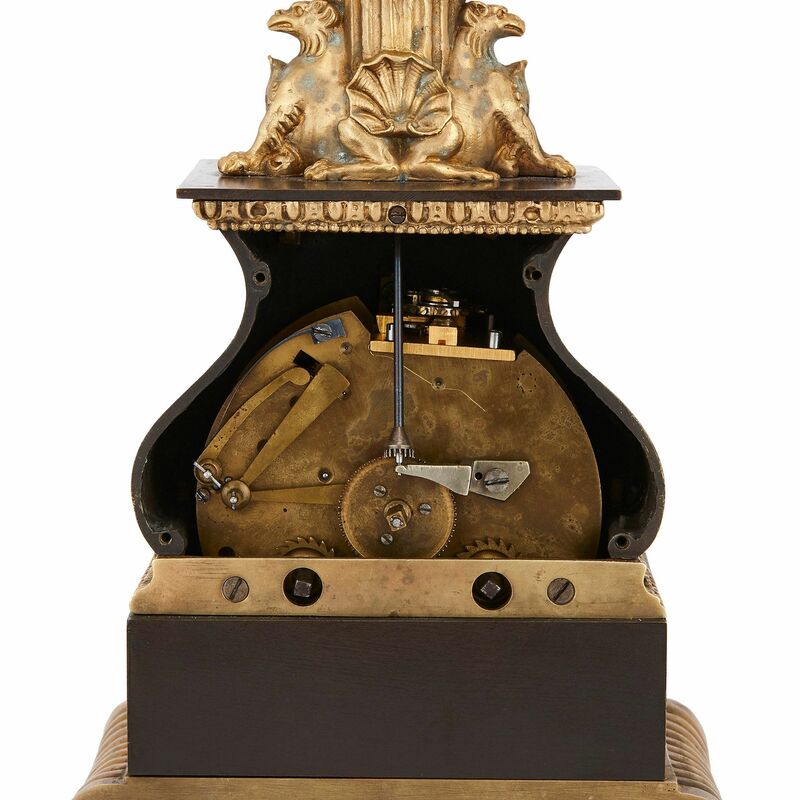 This case contains the movement, which is signed 'Robert Houdin Paris'. 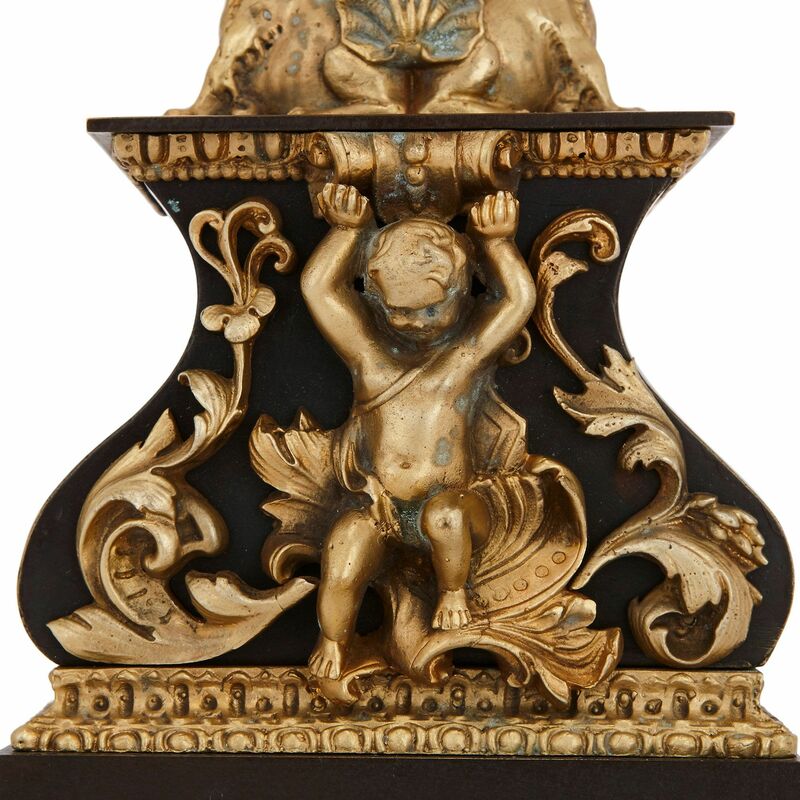 The case is decorated to the front with ormolu mounts featuring a putto, who appears to hold up the top of the case, and foliate motifs and scrolls. The case has an ormolu border which runs around the top and bottom. 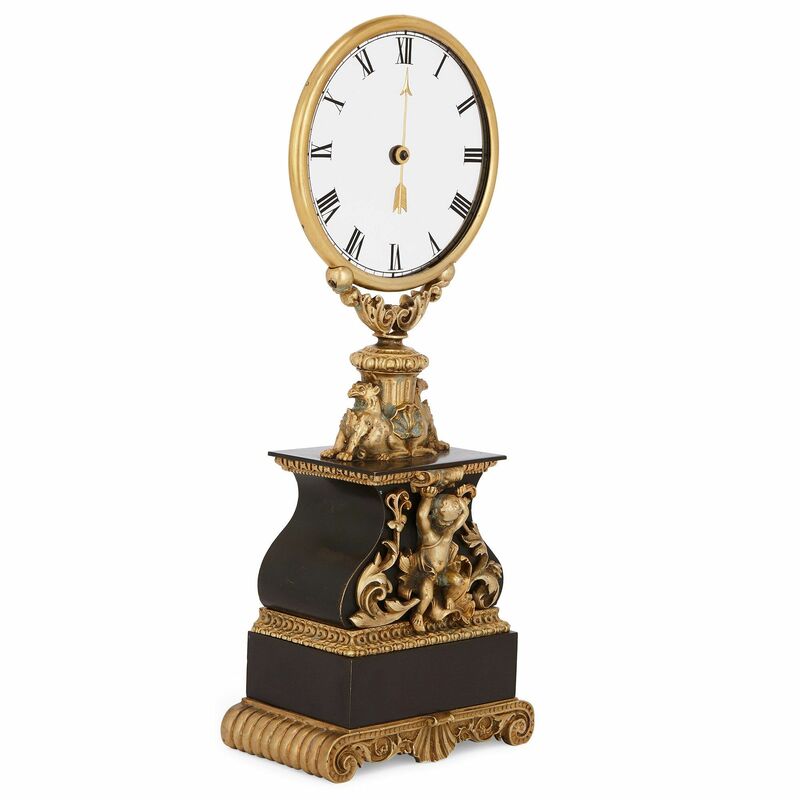 The patinated bronze case is further set upon a rectangular plinth of patinated bronze, which is all set upon a scrolled and fluted ormolu mount serving as feet, with a central shell motif. 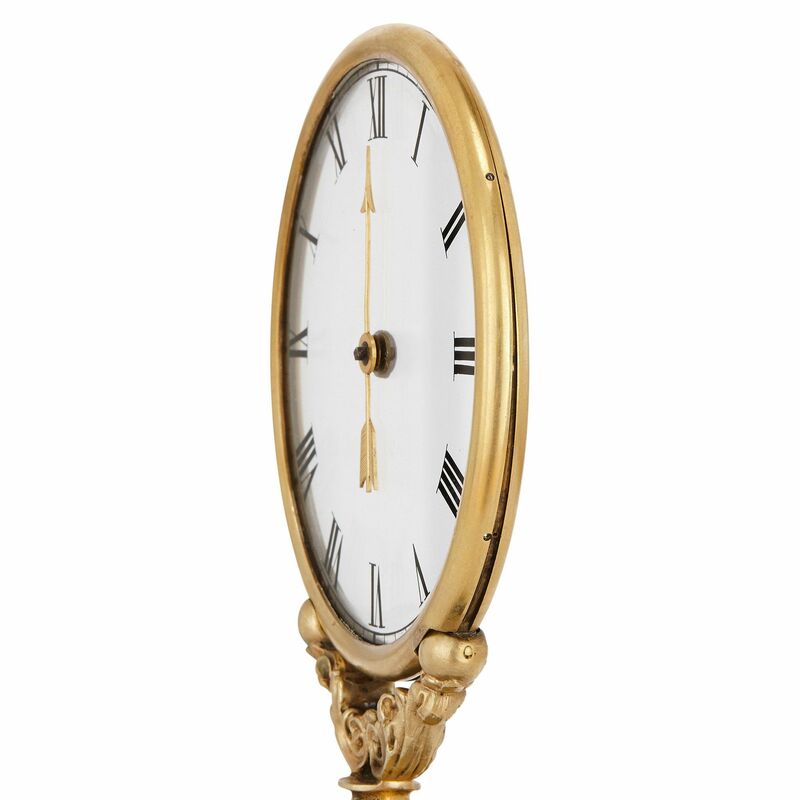 This clock is part of a series of clocks made in the late 1830's with only a single hand but normal minute divisions. It must therefore predate Robert-Houdin's Fourth Series of six clocks which were the first to have separate hour and minute hands. Mystery clocks work through the face being formed of not one but two plates of glass set atop the other. The hands are attached to the front piece of glass, which turns invisibly like a cog on top of the back piece of glass through mechanisms that run around the circular surrounding. Jean Eugene Robert-Houdin (French, 1805-1771) was a magician who is widely credited as the inventor of the mystery clock, and he is often considered to be the father of the modern style of conjuring, or magic.